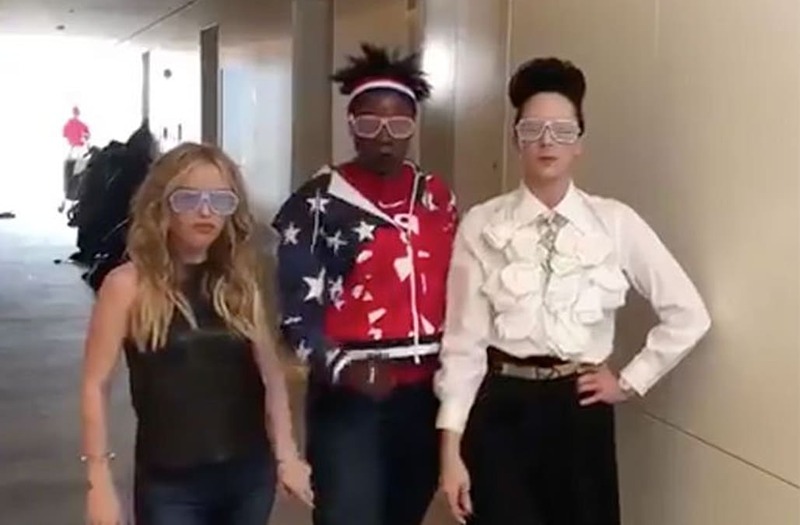 Leslie Jones, Tara Lipinski and Johnny Weir are so “crazy in love” with the 2018 Winter Olympics that they created a video filled with Beyonce moves to prove it. On Sunday, Jones posted a video to Twitter in which the “Saturday Night Live” star struts down a hallway alongside the two American figure skaters and NBC analysts. At one point, the group turns the corner and accidentally slams into an innocent bystander, which cause the gang to laugh. The routine was well-received on Twitter. In the past years, Jones has become a breakout star the Olympics. During the 2016 Summer Olympics in Rio de Janeiro, she garnered a huge following for her enthusiastic Olympic-geared tweets. She was then enlisted by NBC to cover the Olympics after catching the network’s eye. Watch the trio’s performance above.